Associate Professor Stephan Schmidt, at right, and workshop attendees during the Data Collection Training Workshop in Tanzania. Workshop attendees of the Data Collection Training Workshop in Tanzania collected baseline household level health and demographic information. 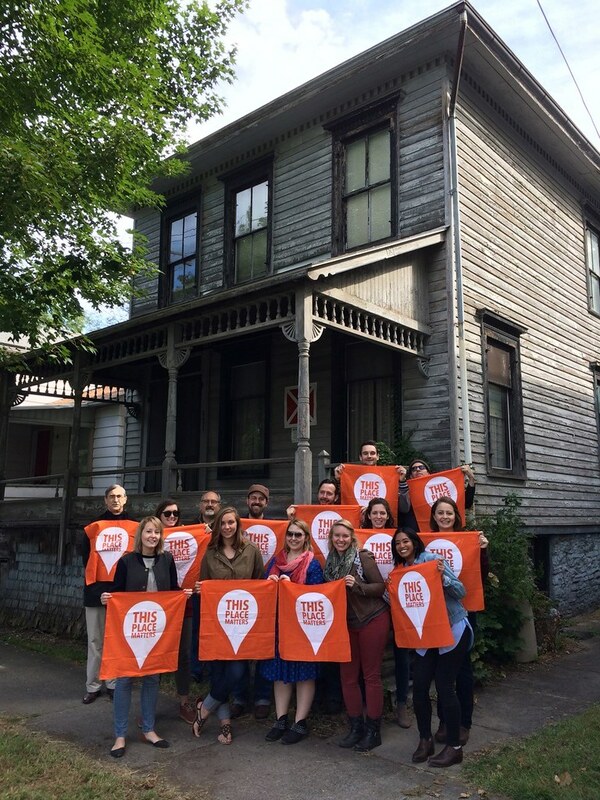 HPP students with CRP professors Michael Tomlan and Jeffrey Chusid in front of the Dennis Newton house in Ithaca, the site of the first African American fraternity in the United States. Sarah Dougherty (M.R.P. '16) and Thet Hein Tun (M.R.P. '16), pose for a photo while collecting data for one of the case studies of informal urban settlements along the Pepe River in Surakarta, Indonesia, as part of the International Development Planning Workshop. Indonesian local government official helping M.R.P. 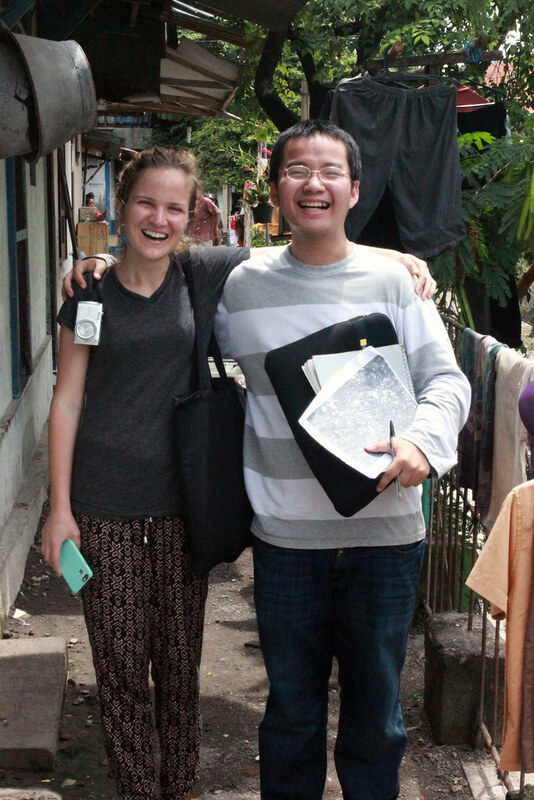 students, associate professor Victoria Beard, and Fuad Jamil (Indonesian NGO collaborator) from Yayasan Kota Kita map a case study of informal urban settlement in Surakarta, Indonesia. As a part of AAP NYC’s fall Urban Design Studio, second-year M.R.P. and M.L.A. students devised a simulation tool, Envision Baruch, to foster community engagement for increasing affordable housing on Manhattan's Lower East Side. 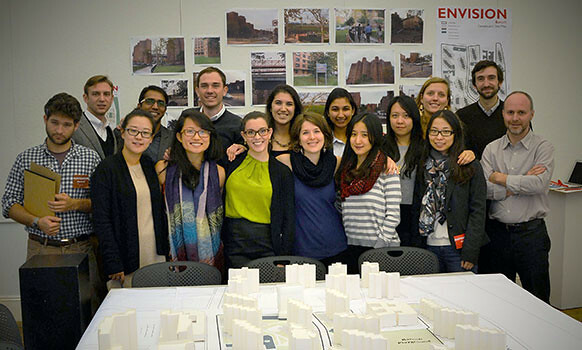 Guest jurors collaborate on development decisions for the Envision Baruch planning model. Design Connect students assist residents of the Village of Aurora, New York, in planning a route and designing a concept for a community trail to promote social interaction, encourage physical activity, and to share the "Aurora experience" with visitors. Detail of map model for Aurora Community Trail. 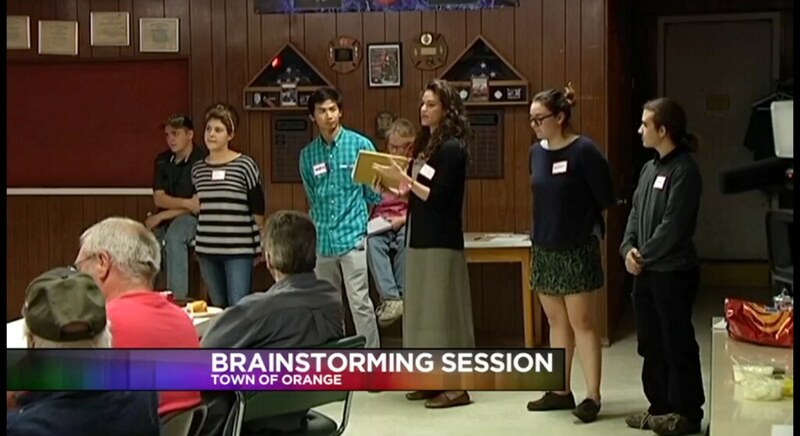 The Downtown Main Street Re-visioning project was a collaborative envisioning exercise between Seneca Towns Engaging in Solutions (STEPS), the people of the village of Ovid, and students from a Cornell University Design Connect team. 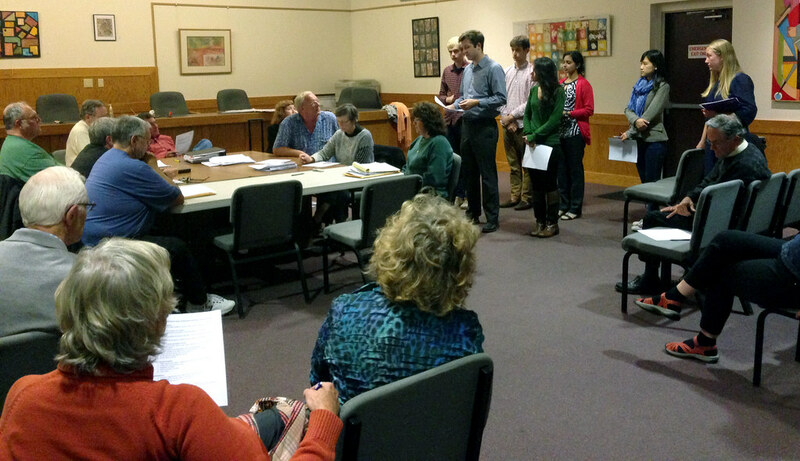 Design Connect team members presented ideas to residents of Lansing, New York, during a semester spent looking into transportation issues in the town. The Lansing Design Connect team assessed current traffic levels and streetscape conditions in Lansing, New York. The Town of Orange, New York, enlisted a Design Connect team to explore re-use possibilities for Camp Monterey. Students combined research and community outreach to inspire ideas for the re-design, which they presented to the community. Mandaarae, Keystone Foundation, the center of NFLC campus. Associate Professor Neema Kudva reviews student work. CRP students Cole Norgaarden and Jocelyn Lee provide tea during a break between presentations. 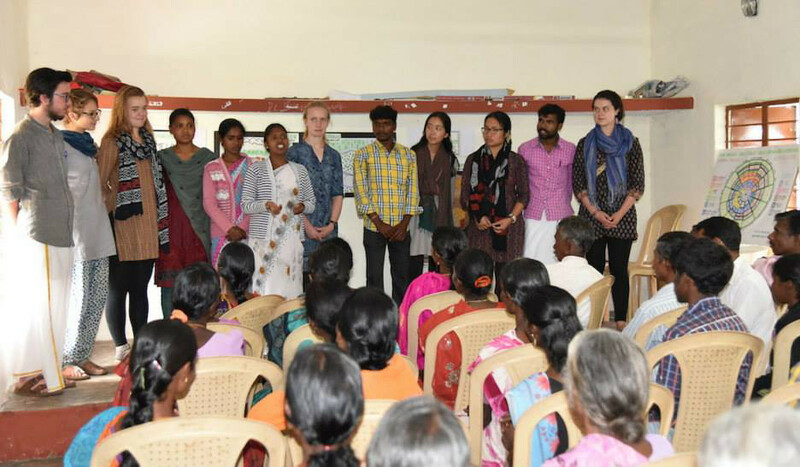 Concluding remarks after final presentations by NFLC students in Sholurmattam. 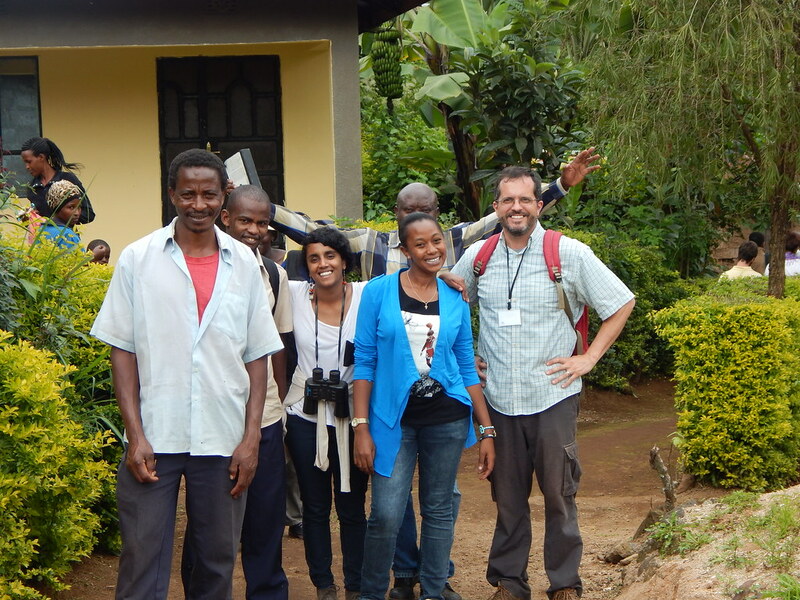 Associate Professor Stephan Schmidt, at right, and workshop attendees during the Data Collection Training Workshop in Tanzania. Workshop attendees of the Data Collection Training Workshop in Tanzania collected baseline household level health and demographic information. HPP students with CRP professors Michael Tomlan and Jeffrey Chusid in front of the Dennis Newton house in Ithaca, the site of the first African American fraternity in the United States. Sarah Dougherty (M.R.P. '16) and Thet Hein Tun (M.R.P. '16), pose for a photo while collecting data for one of the case studies of informal urban settlements along the Pepe River in Surakarta, Indonesia, as part of the International Development Planning Workshop. Indonesian local government official helping M.R.P. 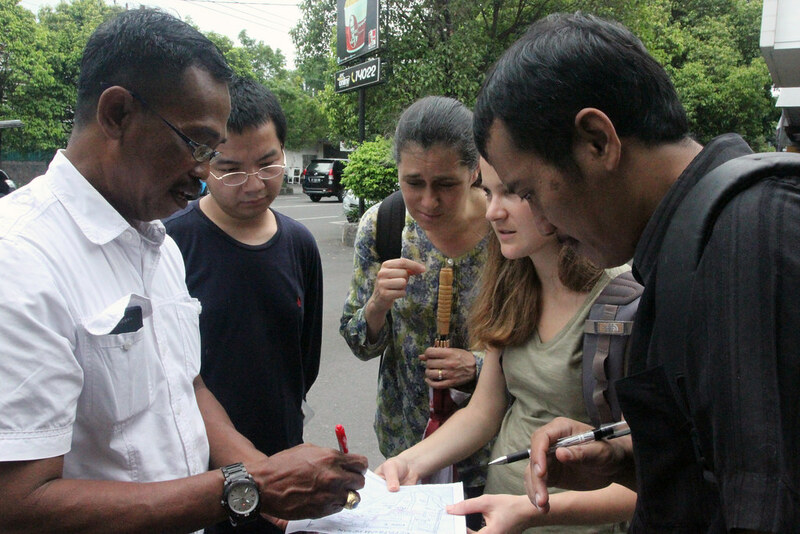 students, associate professor Victoria Beard, and Fuad Jamil (Indonesian NGO collaborator) from Yayasan Kota Kita map a case study of informal urban settlement in Surakarta, Indonesia. As a part of AAP NYC’s fall Urban Design Studio, second-year M.R.P. and M.L.A. students devised a simulation tool, Envision Baruch, to foster community engagement for increasing affordable housing on Manhattan's Lower East Side. 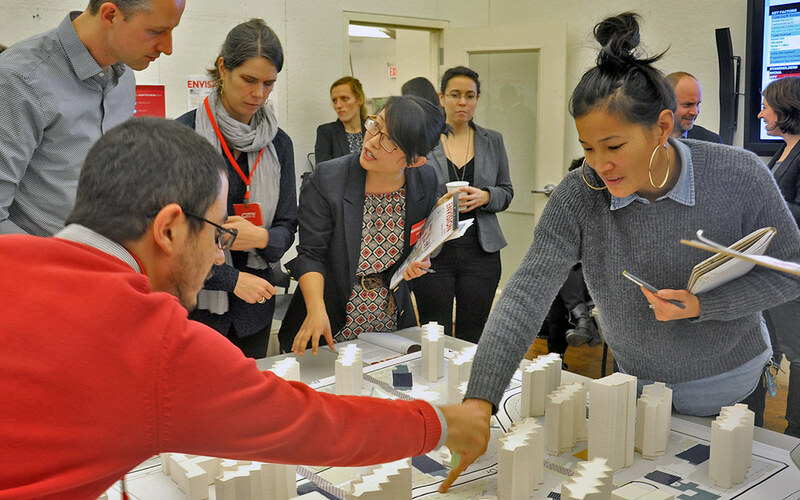 Guest jurors collaborate on development decisions for the Envision Baruch planning model. 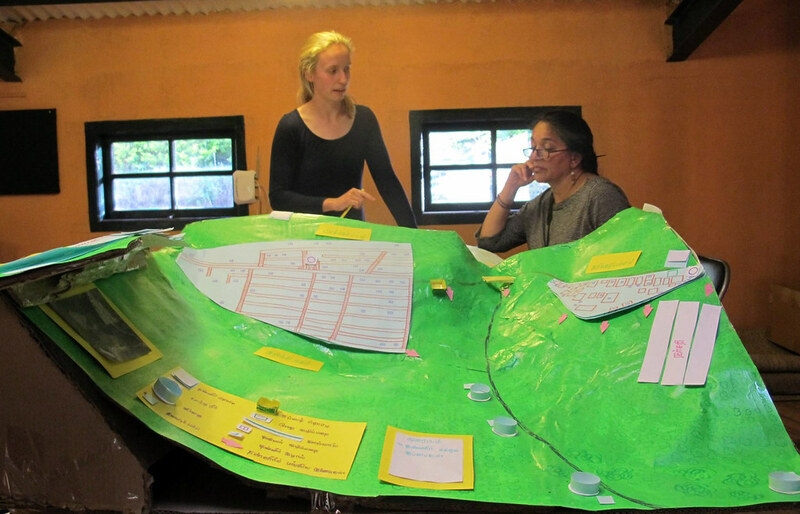 Design Connect students assist residents of the Village of Aurora, New York, in planning a route and designing a concept for a community trail to promote social interaction, encourage physical activity, and to share the "Aurora experience" with visitors. 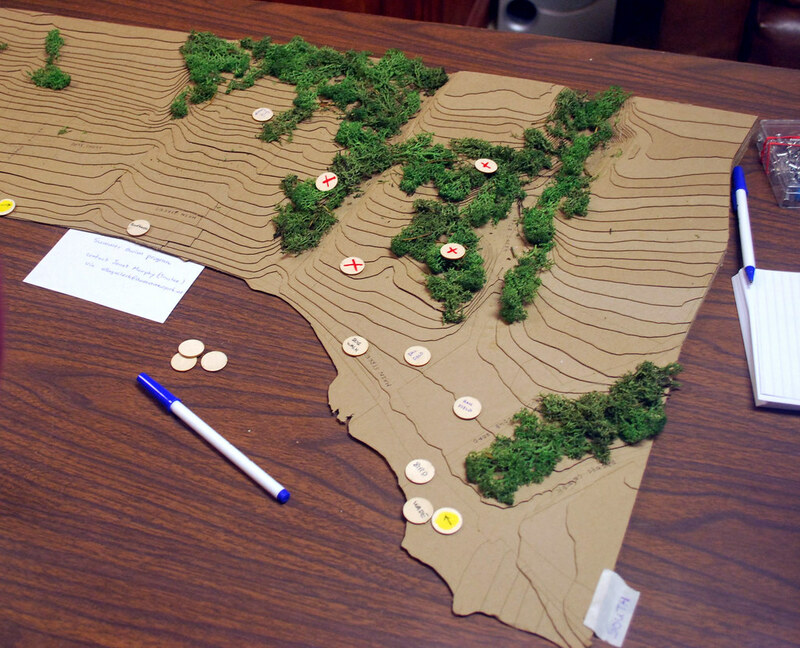 Detail of map model for Aurora Community Trail. The Downtown Main Street Re-visioning project was a collaborative envisioning exercise between Seneca Towns Engaging in Solutions (STEPS), the people of the village of Ovid, and students from a Cornell University Design Connect team. Design Connect team members presented ideas to residents of Lansing, New York, during a semester spent looking into transportation issues in the town. 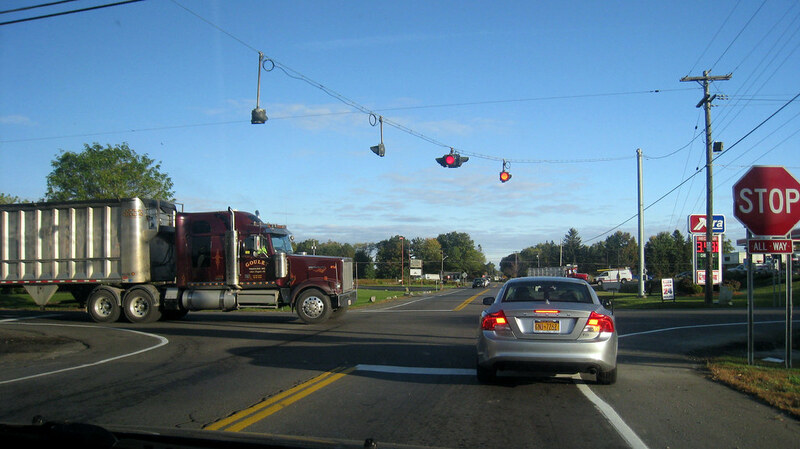 The Lansing Design Connect team assessed current traffic levels and streetscape conditions in Lansing, New York. 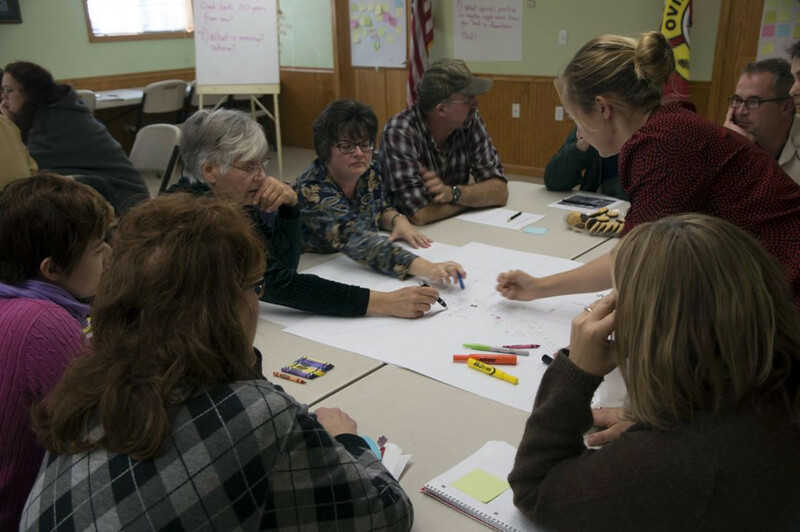 The Town of Orange, New York, enlisted a Design Connect team to explore re-use possibilities for Camp Monterey. Students combined research and community outreach to inspire ideas for the re-design, which they presented to the community. Mandaarae, Keystone Foundation, the center of NFLC campus. Associate Professor Neema Kudva reviews student work. Interviewing in the field CRP students Cole Norgaarden and Jocelyn Lee provide tea during a break between presentations. Concluding remarks after final presentations by NFLC students in Sholurmattam. The Department of City and Regional Planning (CRP) has a long history of public engagement. Underpinning our pursuit of learning by doing is a commitment to an educational model supported by Ezra Cornell that unites theory and practice, and classroom and community. The department faculty has built this educational model with workshops in places as diverse as New Orleans, New York City, and Ovid, New York; and internationally, in Mexico, Italy, India, and Indonesia as well as in the Cornell in Rome program. In 2014, CRP had nine courses with a public engagement component and also supported Design Connect, a student organization focused on providing design assistance to local communities. 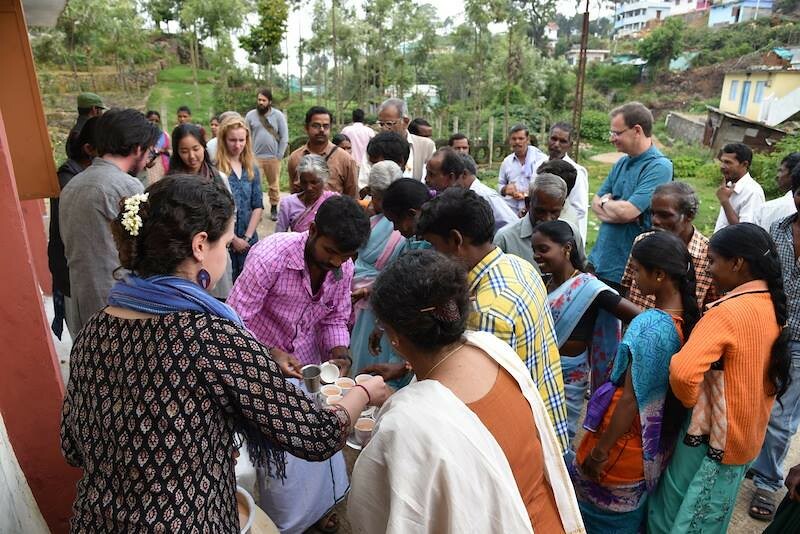 CRP students and faculty also participate in Cornell-wide engaged learning programs sponsored by the Cornell International Institute for Food, Agriculture, and Development and the Johnson School of Management. CRP also supports a cooperative internship program that places masters students in summer internships with organizations through the region, the nation and the world. In his course CRP 5640 Building Materials Conservation, Associate Professor Jeffrey Chusid teaches the fundamentals of the conservation of historic properties. Students work on an actual site, consulting with property owners and public agencies to prepare historic structure reports. These reports contribute to the work of regional historic preservation planners and provide an archive of important historic properties for use by citizens and advocates. Every year, the Preservation Studies Student Organization organizes a weekend-long work project to help restore an important historical building or facility. Students, faculty, alumni, and other volunteers have worked on sites including the Lyndhurst estate in Tarrytown, New York; the Medina Stone Farm in Medina, New York; the Wyco Community Church in Wyco, West Virginia; and the Pratt Opera House in Albion, New York. 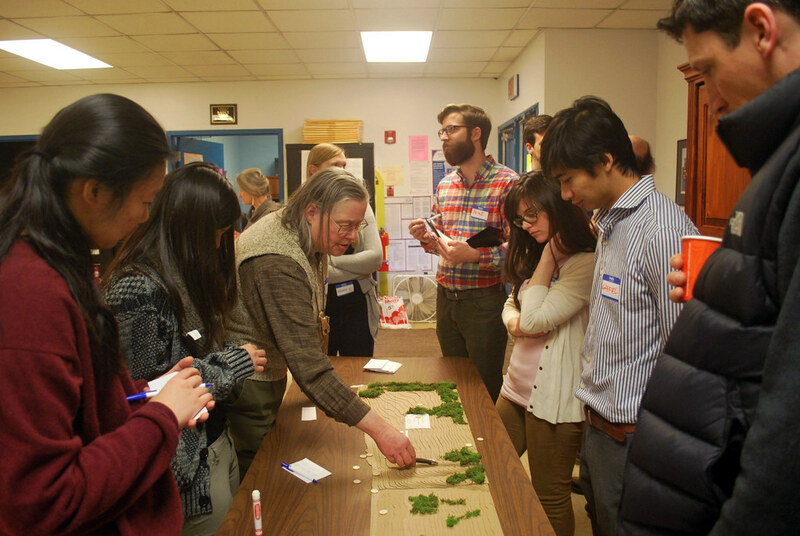 This workshop exposes students to the complexity of planning with poor communities in rapidly urbanizing environments. The workshop focuses on communities located along the Pepe River in Surakarta (Solo), Indonesia, and examines access to potable water and secure shelter. Yayasan Kota Kita (YKK), a non-governmental organization, is the local collaborator. YKK is well known for collecting spatial data and making maps and information available to communities and local governments for participatory planning. Students learn to use a variety of data collection and analysis methods. As part of the Cornell in Rome program, urban studies students take CRP 4160 Rome Workshop, a 6-credit field research class, that spends 20 hours per week in neighborhoods where they explore public space, urban design, social housing, infrastructure services, immigrant integration, tourism, historic preservation, and economic development. Students meet with professional planners, government officials, community activists, and others responsible for urban policy making. Professor John Forester’s courses connect students with planning and economic development practitioners all over the world to learn from their “on the ground” experience. The students conduct practitioner interviews and analyze what their experience means for professional identity and work. 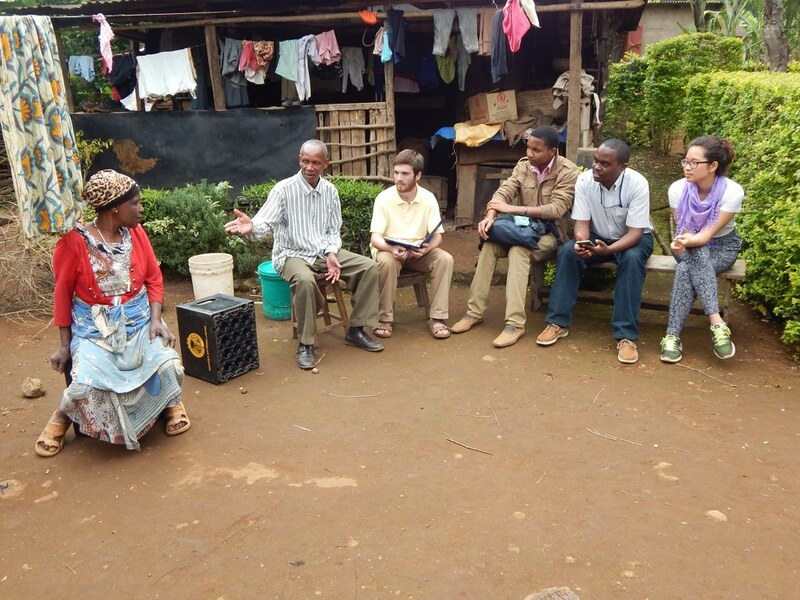 A field-training workshop taught by Associate Professor Stephan Schmidt engages both undergraduate and graduate students with a geographic information systems mapping project with community partners in Moshi, Tanzania. The goal is to improve the ability of the partner community to monitor and evaluate programs and projects. The NFLC is a project of Cornell University and the Keystone Foundation, India. 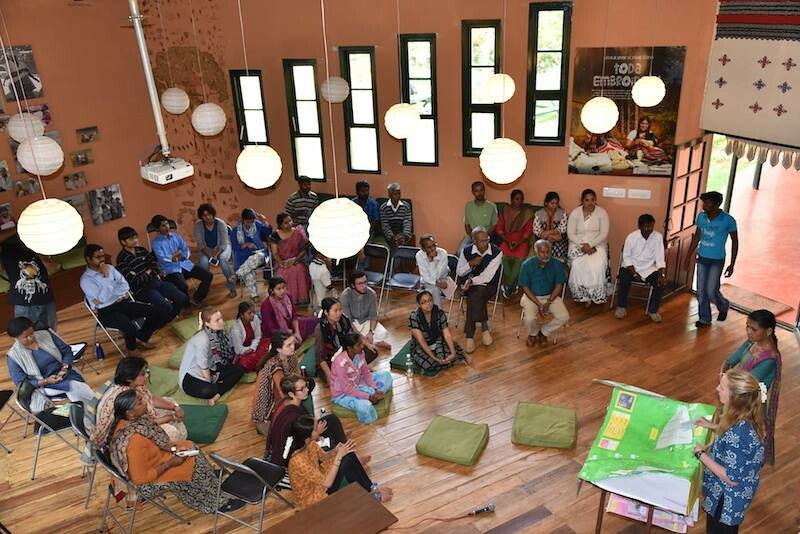 Students and faculty from across Cornell, youth from local indigenous communities, and NGO practitioners work together in this engaged learning and research program located in the Nilgiris Biosphere Reserve. The NFLC focuses on the development of sustainable environments and livelihoods. Associate Professor Neema Kudva is currently the Cornell faculty lead for the NFLC. In workshops taught by professors Mildred Warner and Susan Christopherson, students connect classroom learning to practical policy problems. The workshops help clients from the public and not-for-profit sectors construct more informed economic and community development policy and programs. Workshop topics have focused on childcare and economic development policy, how tourism development can contribute to community quality of life, and how cities can address fiscal stress. Other recent economic and community development workshops have helped New York public officials and communities better understand how they may be affected by natural gas drilling in the Marcellus Shale. Teams have also worked with the American Planning Association nationally to address multi-generational planning and put a gender lens on planning practice. Workshops taught by Assistant Professor Jennifer Minner, Associate Professor Stephan Schmidt, and Visiting Lecturer George Frantz focus on the forces and actions that affect the physical character, transformation, rehabilitation, and preservation of natural landscapes, cities, and regions. Topics include development of land use and natural conservation plans, design and implementation of "smart growth" policies, evaluation of infrastructure requirements, strategies for making cities more environmentally sustainable, design and analysis of public spaces, and strategies for increasing housing opportunities. Offered each fall, this workshop examines the evolving structure of New York City and the way large-scale developments have influenced its form, patterns of growth, and opportunities for economic development. The class work and related tours examine the historical forces that have influenced New York City, including models of urban analysis, contemporary theories of urban design, and implementation strategies used in redevelopment projects. The class includes several trips to New York City to document, observe, and analyze a number of major redevelopment projects and meet with various leaders in the planning, design, and real estate community. This student-run organization provides practical experience to students through cooperation with local municipalities and nonprofit organizations while providing design and planning services for groups that may not have the resources to hire professionals. Design Connect is the recipient of a 2015 Outstanding Planning Student Organization Award from the American Planning Association.